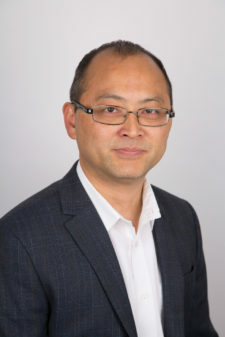 Dr Fan Ye has worked in safety consultancy in industries including oil and gas, chemical, nuclear power and defence since completing his PhD in 2005. Fan is a Charted Engineer (CEng) by the Engineering Council via IET. He is a GIAC certified Global Industrial Cyber Security Professional (GICSP). He is a Certified Functional Safety Expert (CFSE) and TÜV Rheinland and Technis certified Functional Safety Engineer. His expertise lies in the areas of hazard identification and risk assessment, safety case development, safety management, system reliability, and ICS Cyber Security. Fan is a committee member of both the BSI GEL/65/1 and the IEC 61508 Part 3. Fan has extensive knowledge on international safety standards such as IEC 61508, IEC 61511 and UK Defence Standards and Military of Defence (MoD) policy. Fan is familiar with UK’s Health and Safety legislation and the As Low As Reasonably Practicable (ALARP) principle for safety risk management underpinned by cost-benefit analysis. Fan has chaired and facilitated numerous HAZOP and SIL determination (LOPA) studies in the UK and Middle East. He has also led a number of SIL verification studies and Quantitative Risk Assessments (QRAs) for major projects.